MPs have told BT it must invest more in its Openreach unit, which owns the UK's broadband infrastructure, and that failure to do so could lead to it losing the business entirely. The Culture, Media and Sport Committee criticised BT for "significantly under investing" in Openreach, quoting research from an independent report that claims BT could be holding back by "hundreds of millions of pounds" a year. The cross-party group of MPs said BT must get its "house in order" and invest more into Openreach, accusing BT of making decisions about Openreach that favor its own "priorities and interests". Earlier this year, Ofcom published a report calling for BT to partly separate Openreach so rivals might more easily use the infrastructure. In the new report MPs supported Ofcom's call for creating this separation, but added that if BT fails to make greater investments "Ofcom should move to enforce full separation of Openreach". "In the Committee's judgement, Ofcom has not placed enough emphasis in the past on improving Openreach's quality of service: it says the prospect of stiffer penalties should also encourage BT voluntarily invest more in infrastructure." 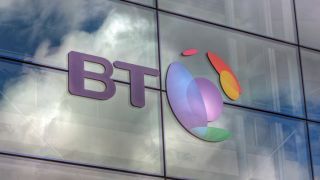 BT said it was "disappointed" with the report's claims. A spokesperson told TechRadar: "Openreach investment is 30% higher than it was two years ago and it will grow again this year." In May, BT announced it would invest £6 billion in its broadband and mobile network over the next three years. The spokesperson added, "We are disappointed to be criticised for having invested more then £1bn a year in infrastructure when the UK when the UK was emerging from recession and rival companies invested little." They said the company is in discussions with Ofcom about increasing Openreach's autonomy, but warned a separation "would lead to less investment, not more, and would fatally undermine the aims of the committee." "Separating Openreach from BT would lead to less investment, not more".